Radio telescope dishes of the Very Large Array near Magdalena, New Mexico, picks up golden light at sunset. 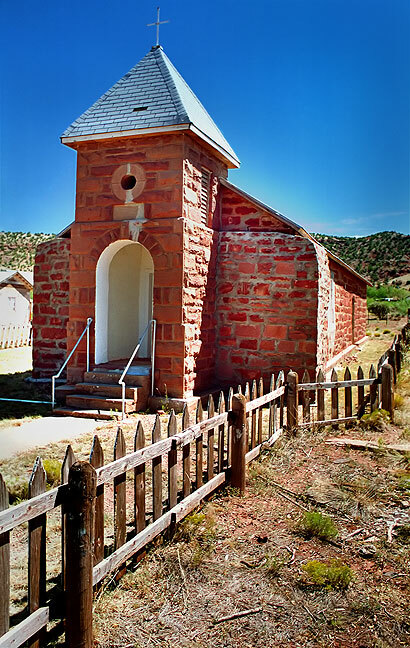 The Church in Cuervo, New Mexico appears to be the only routinely-maintained structure in the town. I chose the date for this trip partially based on the Very Large Array’s configuration schedule. 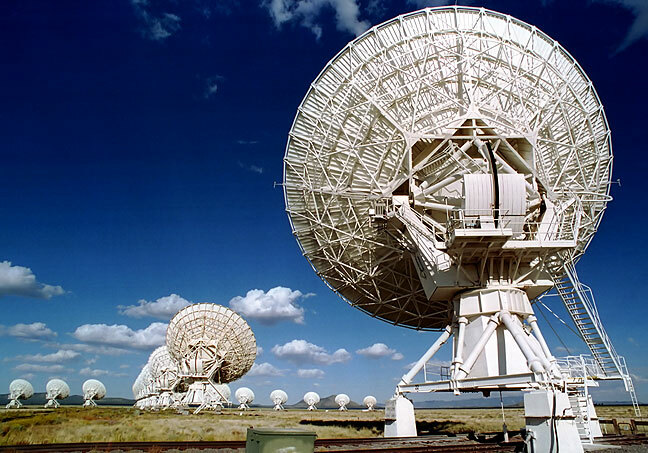 I saw on their web site that the radio telescope dishes would be in their closest configuration. When I visited during the Villanueva trip in 1999, the dishes were far apart, and I wanted to return when they were close together. I didn’t have access to the summer house in Villanueva this time, so I went from one Motel 6 to another. 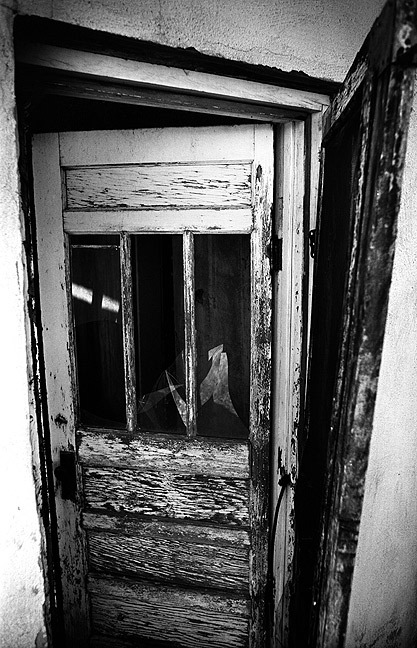 This dilapidated door at Cuervo lent itself perfectly to a black-and-white rendering. 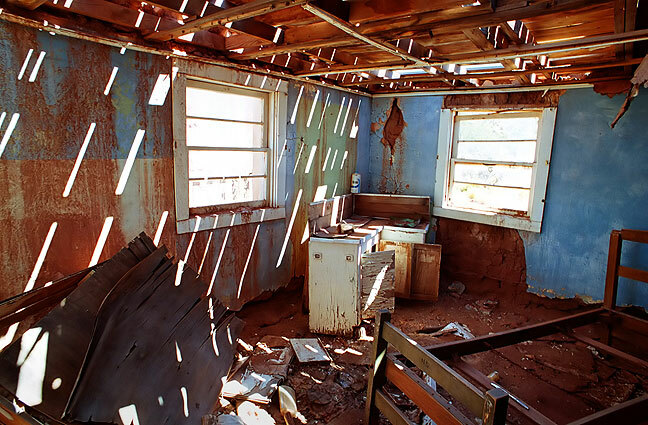 This abandoned house in Cuervo, New Mexico was perfectly photogenic. 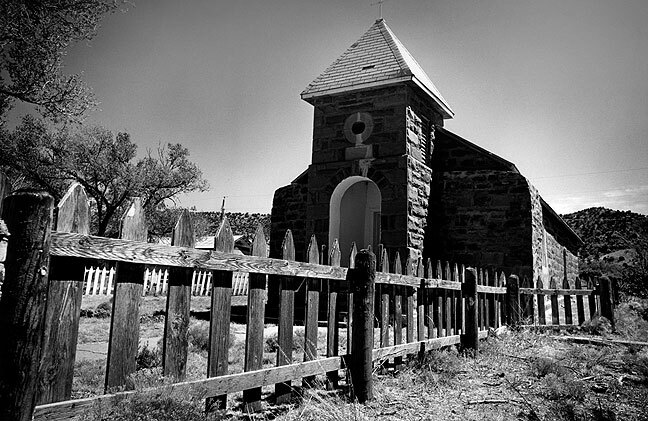 The Church at Cuervo, New Mexico seems well-maintained and served, unlike the rest of the town. 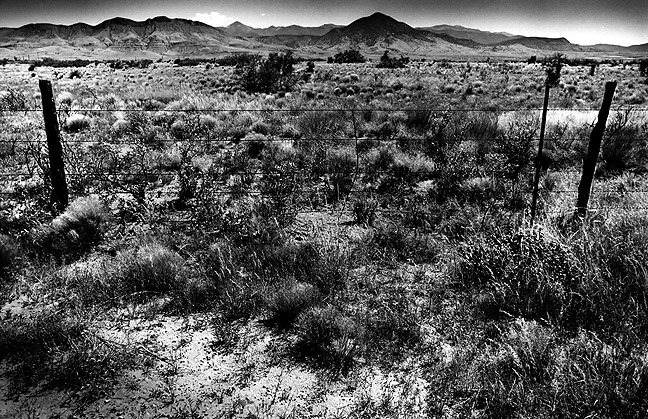 I find that I am drawn to the look of the empty, open rangeland common to New Mexico. On the road, I reshot Stanley Marsh’s Cadillac Ranch. 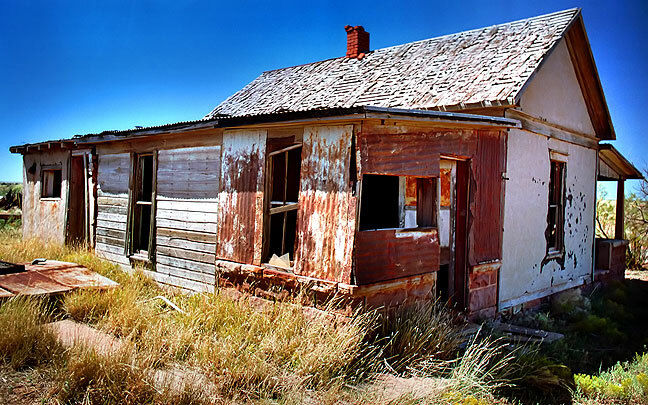 By mid afternoon I was at the Cuervo, New Mexico ghost town with deep sun and sky. It was creepy in its abandonment. Beautiful, long drive on US 54 in New Mexico. 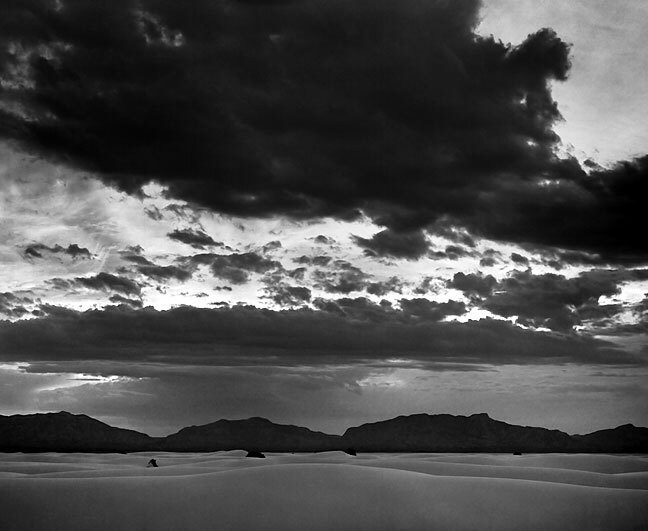 By evening I was at White Sands National Monument there was marginal light, with clouds coming and going. It made a couple of nice images. 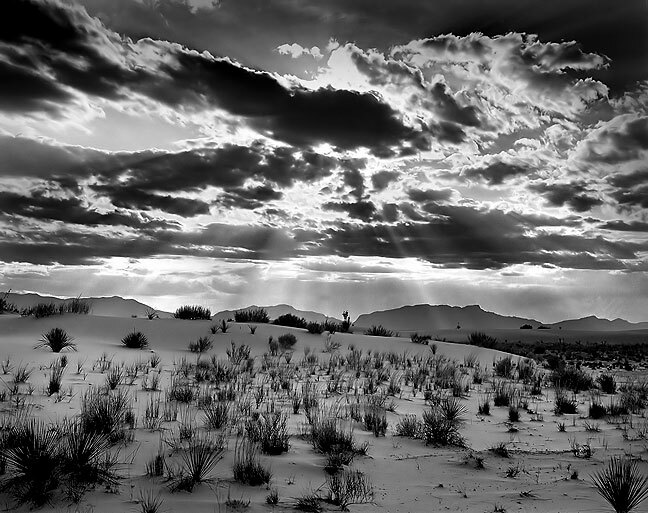 Crepuscular rays shine though clouds at White Sands National Monument. Brooding clouds mute the late afternoon light at White Sands. 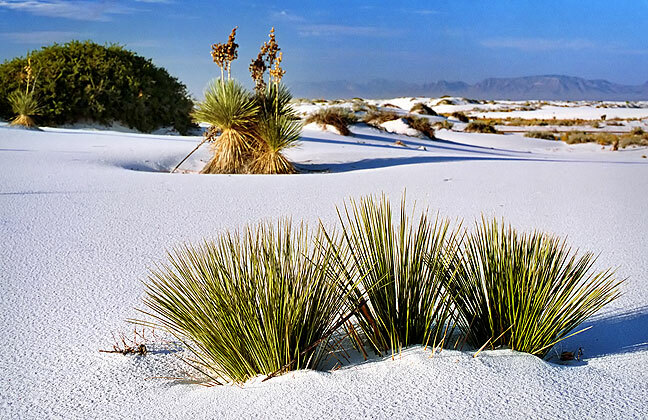 I arrived at White Sands at 7:10 am and worked with steep morning light and clear blue sky, and felt like I shot well. I made a brief stop at a Volkswagen graveyard in Alamogordo. Driving north, I stopped at a winery and a church in Tularosa, as well as a pistachio farm. Turning west, I encountered black rocks and harsh light at Valley of Fires State Park. 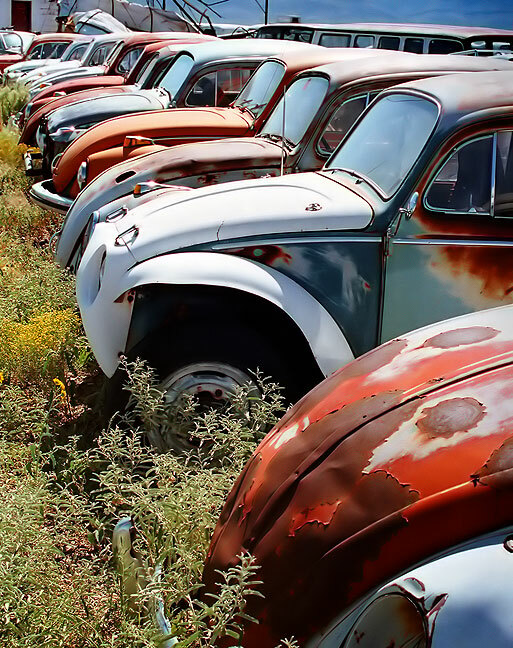 This Alamogordo, New Mexico salvage yard held a number of derelict Volkswagens. 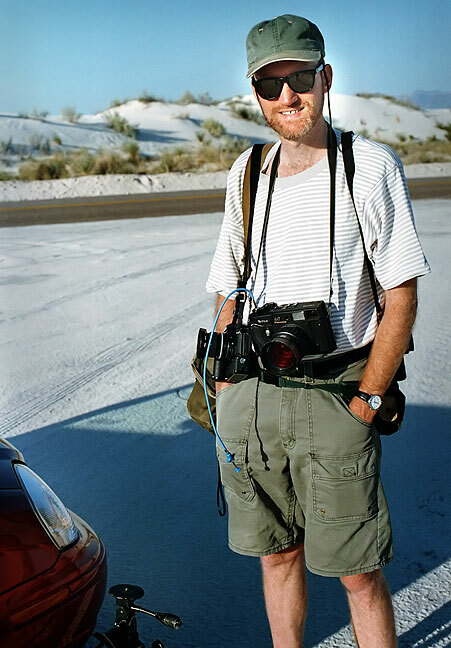 The author poses with hid medium format camera, among others, at White Sands National Monument, New Mexico. 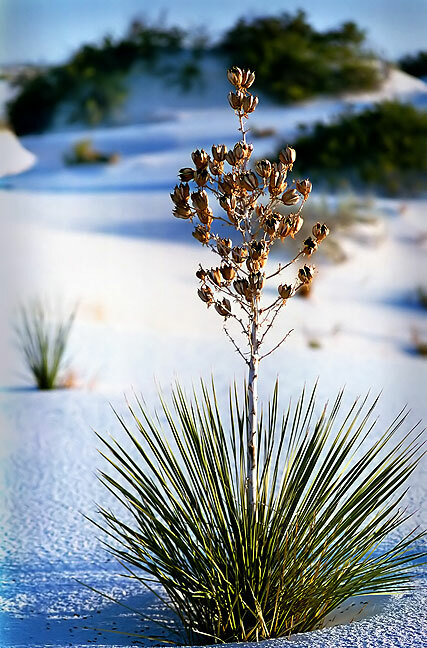 Soaptree Yucca clings to the surface at White Sands National Monument, New Mexico. 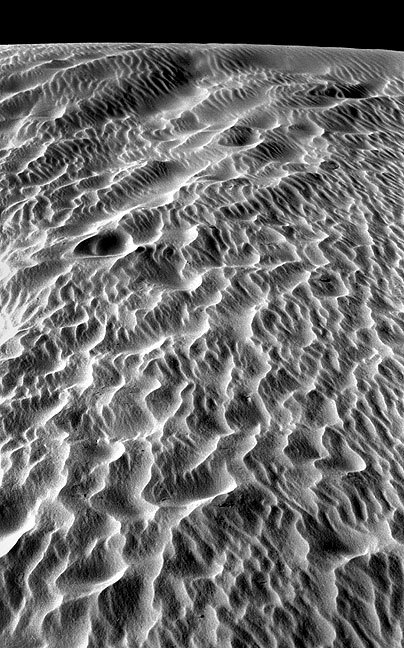 Harsh morning light shines on the white gypsum dunes at White Sands National Monument. 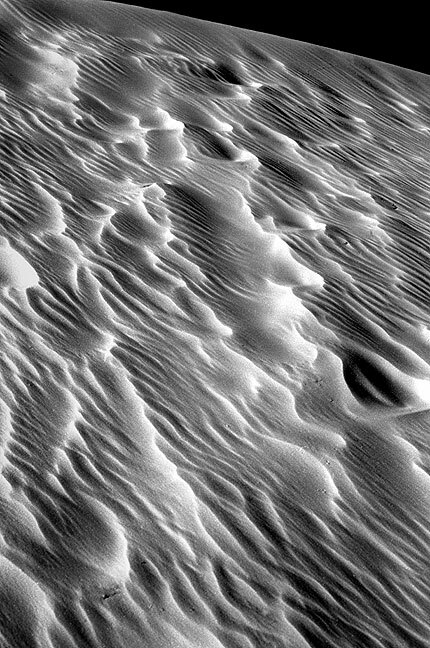 Another frame shows the steeply-angled morning sunshine on the dunes of White Sands; these images were among the last I made on 6×7 medium format film (Kodak Verichrome Pan) with a deep orange filter. 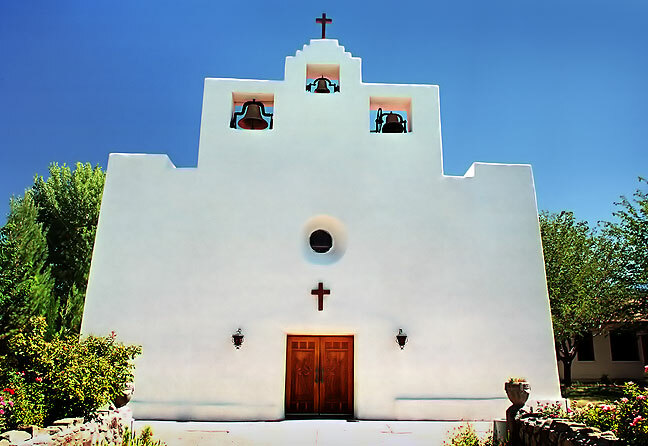 This broad view of the Tularosa Mission shows the front door, and more significantly that the midday light was just about to shine fully on the facade; ten minutes later, this image would be very different. 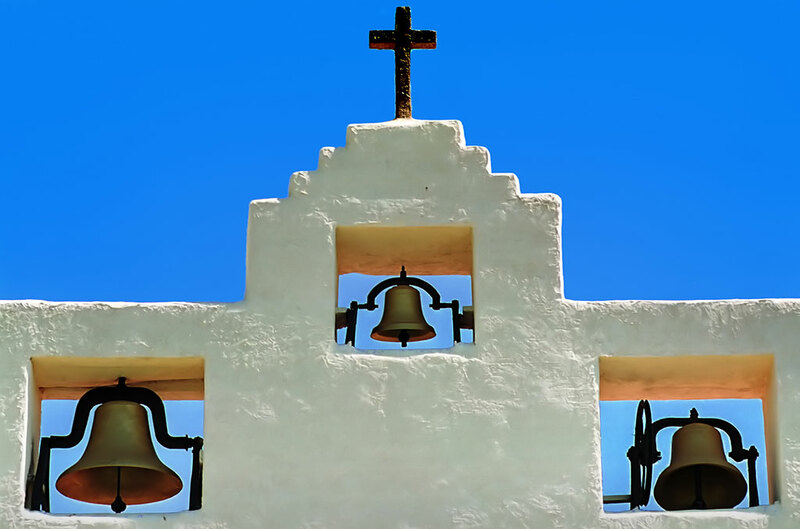 The bells of the Tularosa Mission Church stand against a perfect blue sky. 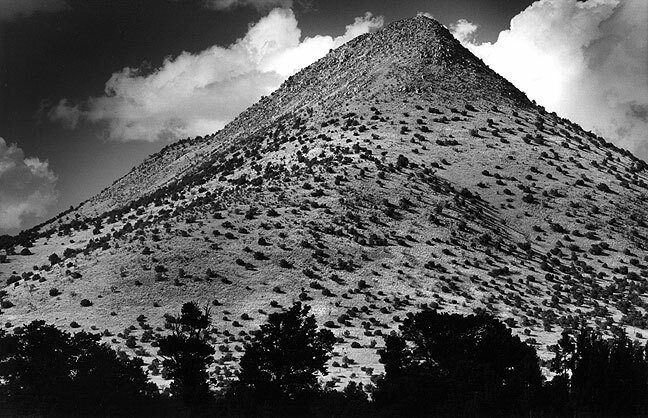 Tres Montosas, a peak on U.S. 60 near Magdalena, New Mexico; I spotted this handsome peak on the road to the VLA. 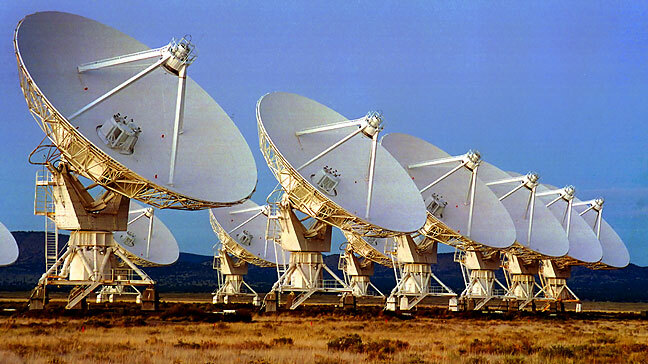 View showing numerous dishes in the Very Large Array. 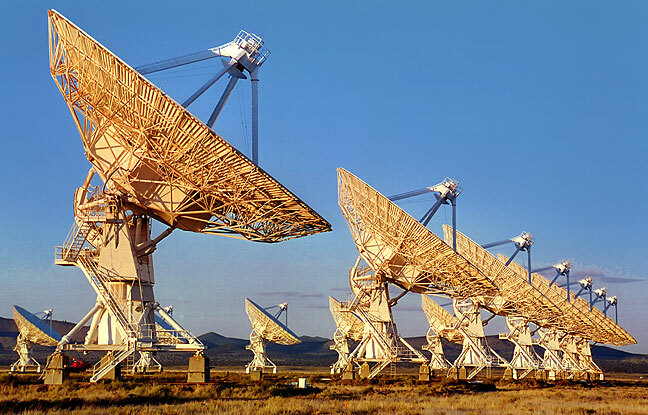 By closing time at the Very Large Array radio telescope, afternoon clouds had dissipated, and the sky took on color. I had nice afternoon light and made good images on the drive to Very Large Array. I took an oil field access road to get to a good spot to shoot one of the Tres Montosas peaks. At the VLA I shot conventional color and black-and-white films, as well as a roll of Kodak High Speed Infrared I brought for the occasion, loaded in my 1960s-era Nikon F. I stayed until closing time and watched the light evolve from handsome afternoon light with towering cumulus to deep amber light just before sunset. 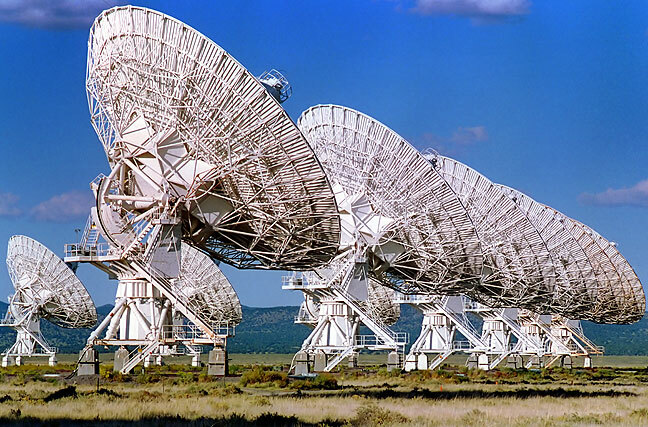 Dishes of the Very Large Array radio telescope begin to pick up early evening light. 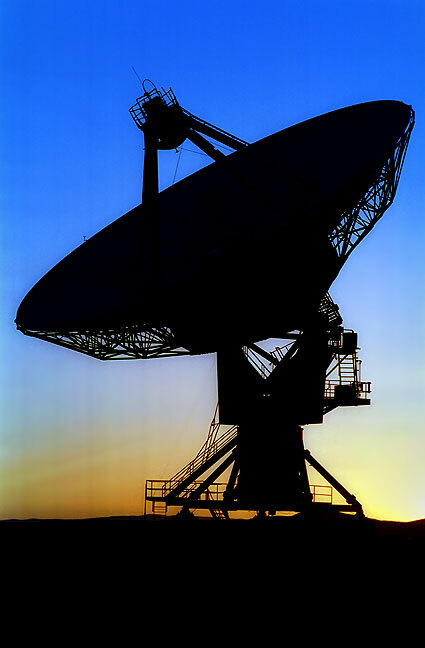 An individual parabolic radio telescope antenna. Frame made from the VLA access road with a 300mm. Fisheye view of the VLA on black-and-white film with deep orange filter. 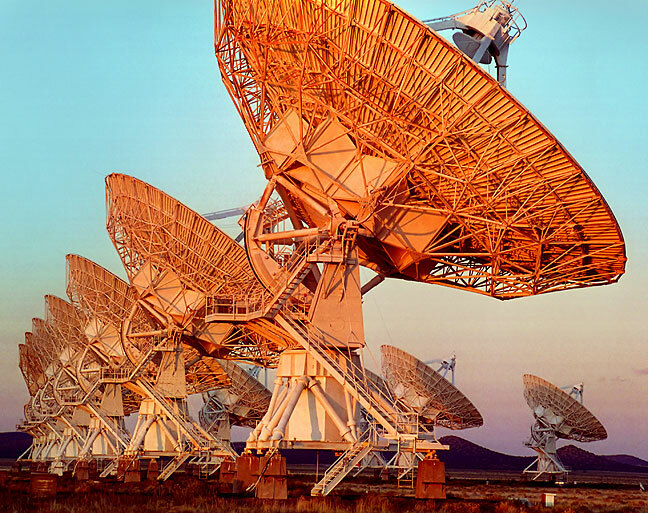 The white dishes of the Very Large Array’s antennas pick up colorful evening light. VLA antenna and cloud made with Kodak High Speed Infrared Film. 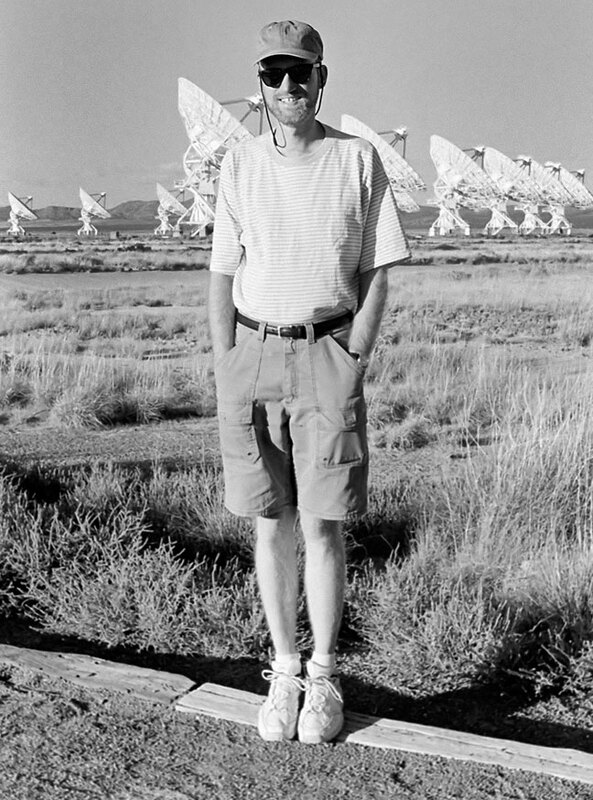 The author smiles at the Very Large Array near Magdalena, New Mexico. Lone radio telescope antenna set against the Magdalena Mountains. Driving west, I stopped at Rio San José where it passes quite close to highway 6 for a beautiful, lonely canyon shot. 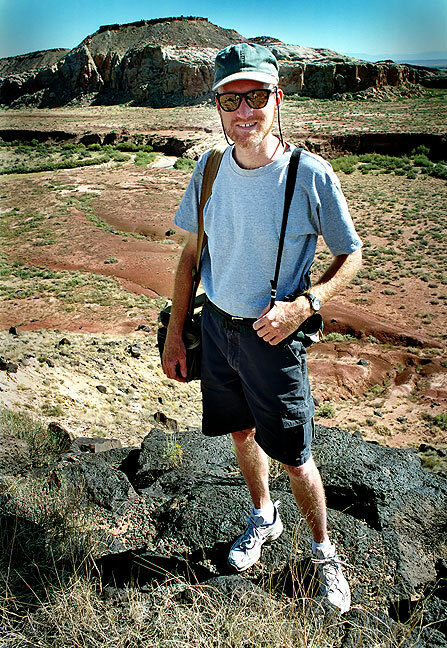 Your host poses for an image on the edge of the canyon at Rio San José, central New Mexico. 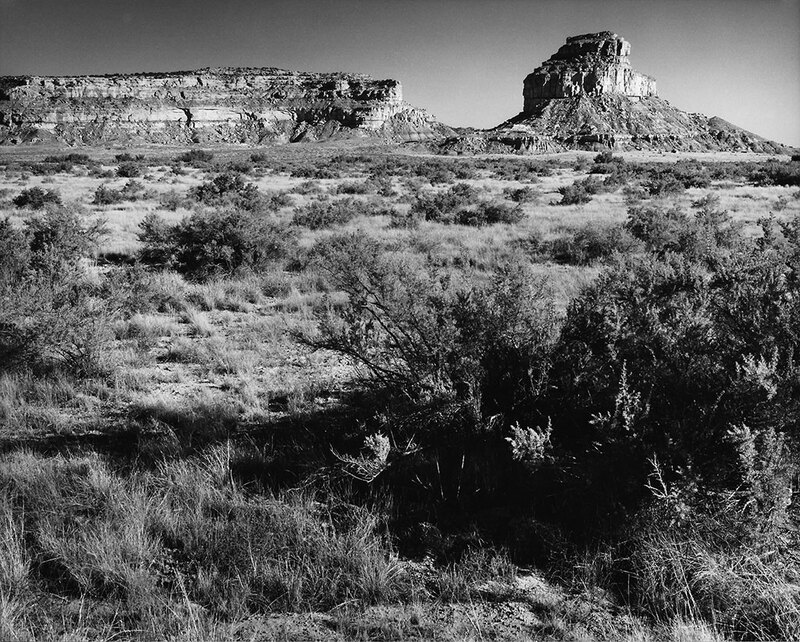 Morning light creates depth in this black-and-white rendering of Rio San José near New Mexico highway 6. By far the most ridiculous attraction I visited was the Bandera Volcano and Ice Cave. The cave is a wooden platform that overlooks some ice in a cave, and nothing else. 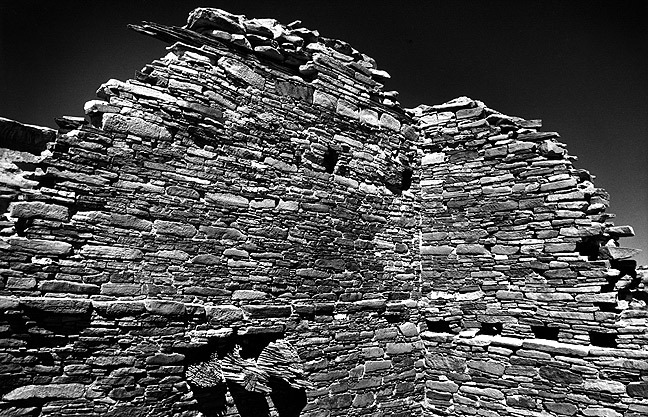 I drove around Laguna Pueblo looking for the mission church, but was disappointed. I made a short video but no stills. 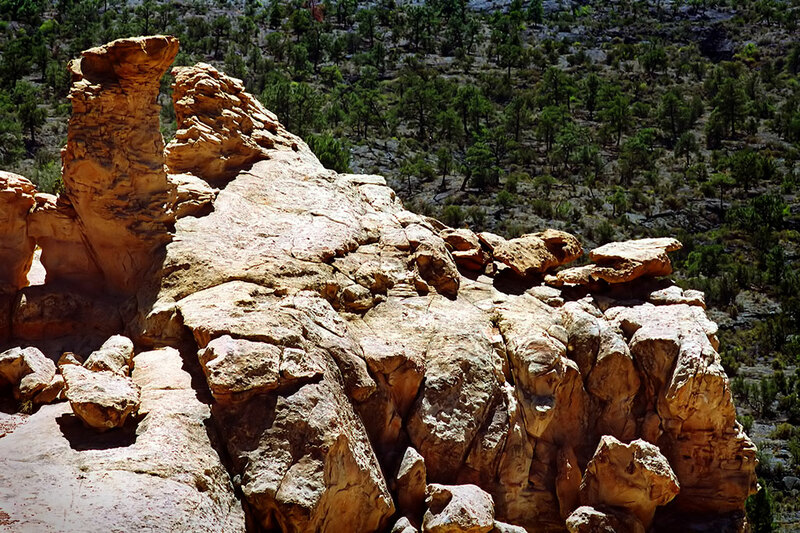 I took a long, winding, beautiful drive through El Malpais National Monument, where I explored the sandstone bluffs, with only marginal success. I found the hard midday light and crowds distracting. 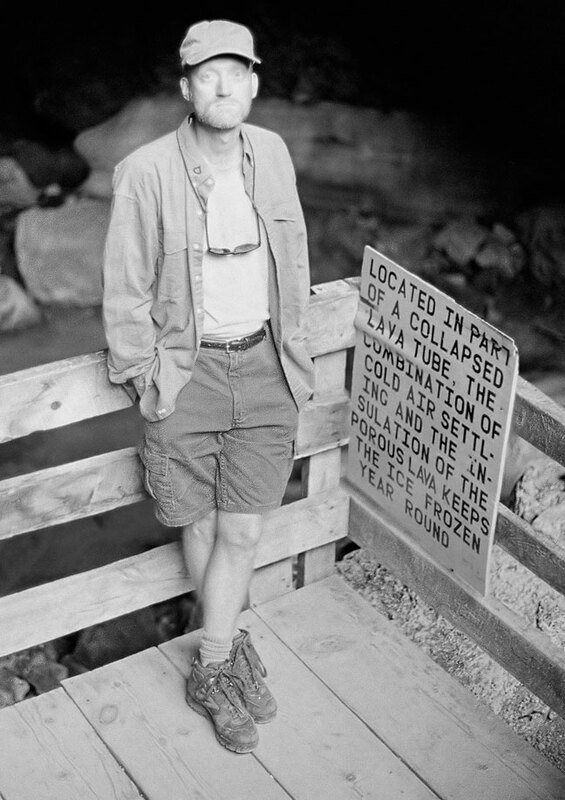 Arriving at El Malpais’s La Ventana Natural Arch, I found the trail closed that leads under the arch. Without being able to see daylight through it, it was difficult to even see that it was an arch. 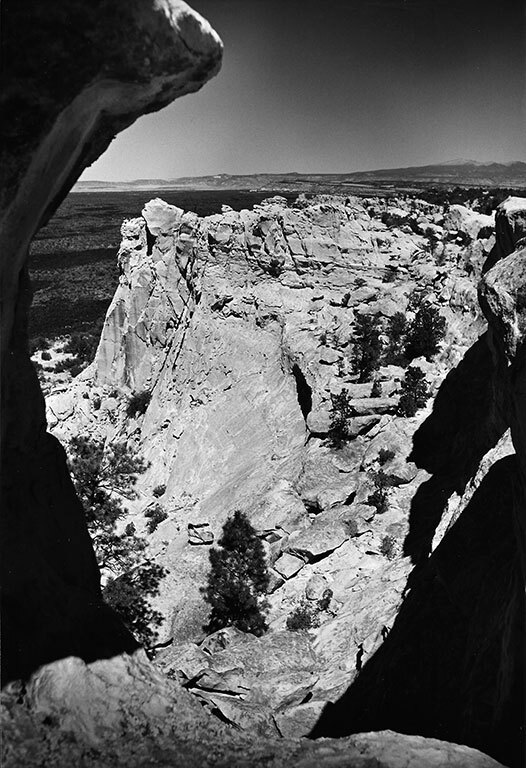 Though difficult to see in this fisheye overview, La Ventana Natural Arch is near the center of this frame. The trail leading to the area under it, and a better view, was closed. 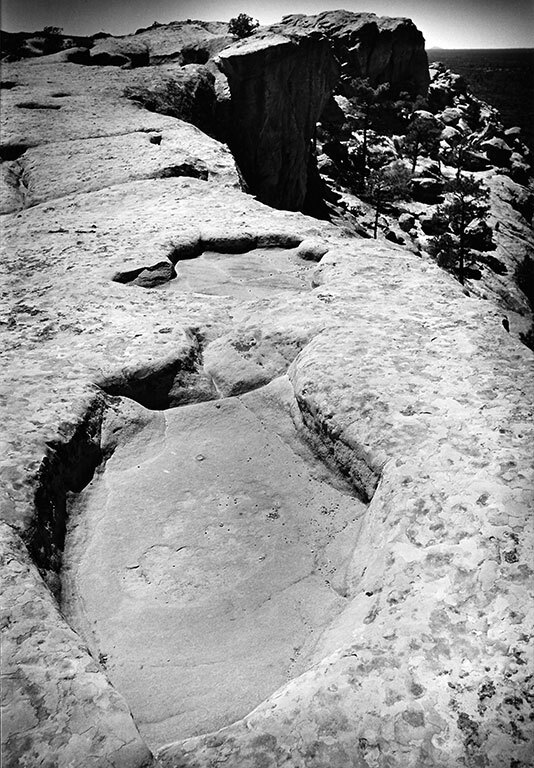 A pothole stands near the cliff edge at a roadside turnout at El Malpais National Monument, New Mexico. Cliffs are set against a backdrop of the Grants lava flow at El Malpais National Monument. 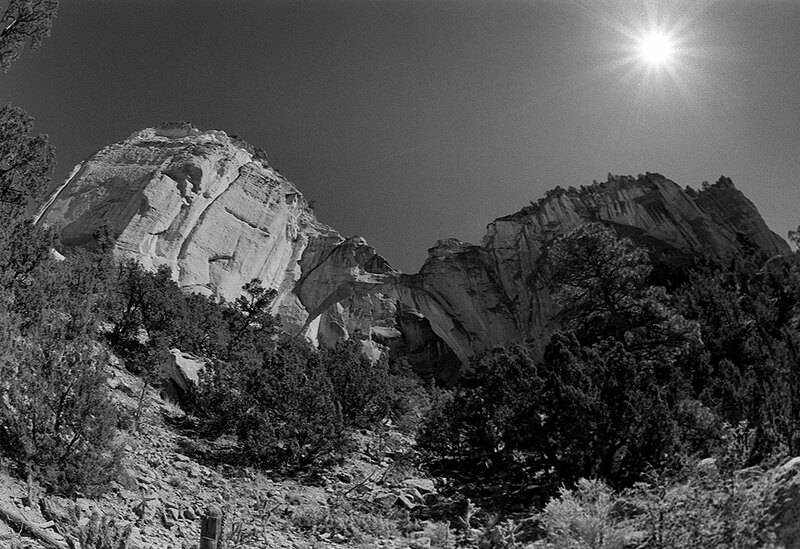 Bright afternoon sunshine creates a deep, contrasty image of the cliffs at El Malpais National Monument. 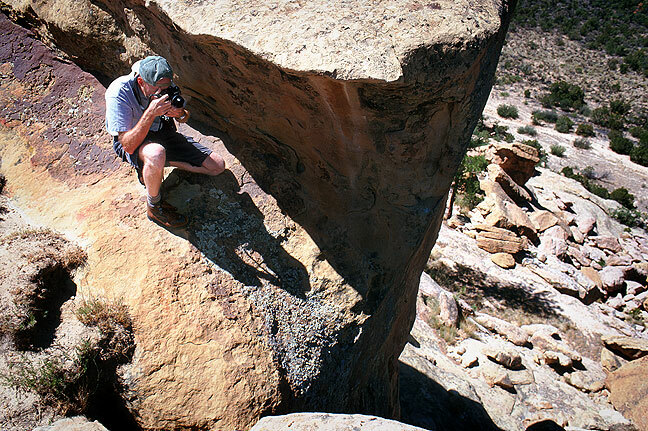 The author makes pictures on a sheer cliff at a roadside turnout at El Malpais National Monument, New Mexico. At dusk I walked west from El Morro National Monument on the highway to a spot with big “no parking” signs to make a shot of El Morro’s Inscription Rock at sunset. 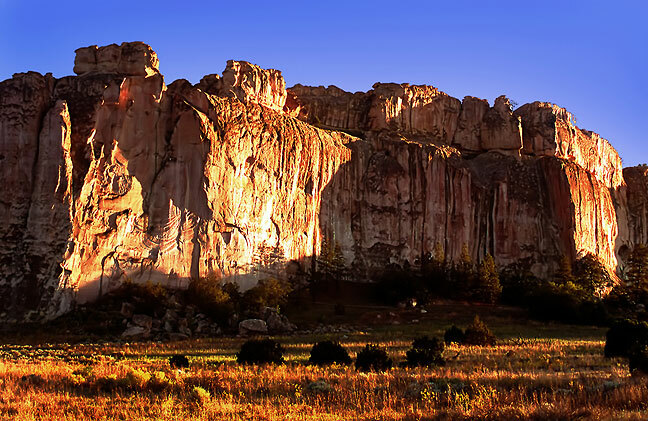 The cliffs of Inscription Rock stand in late afternoon light at El Morro National Mounment, New Mexico. Cliffs of Inscription Rock at last light, El Morro National Monument, New Mexico. 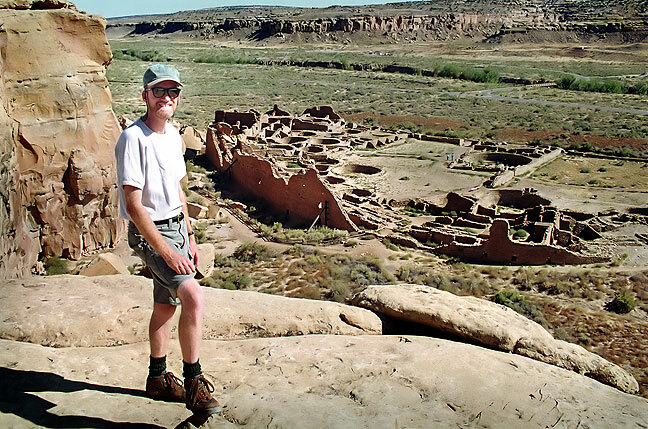 Your host poses at the Pueblo Bonita overlook at Chaco Canyon. The drive to Chaco Culture National Historic Park was long. As the afternoon flowed, I shot some really inspiring stuff. 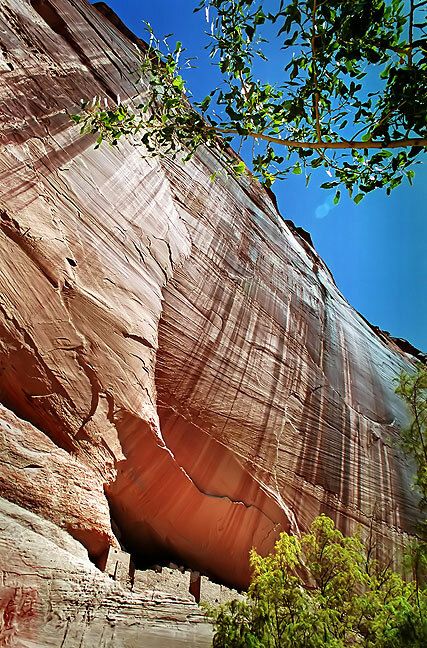 The alien aspect of the desert and the raw fun of hiking the cliffs over Chaco Canyon made it a superior destination. 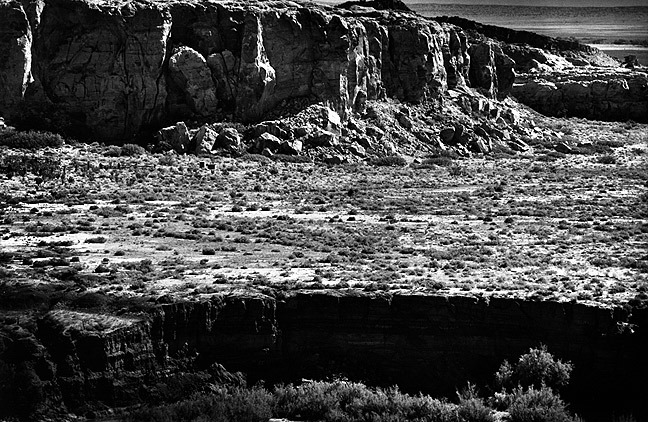 Cliff House Formation over Menefee Sandstone at Chaco Canyon, New Mexico. 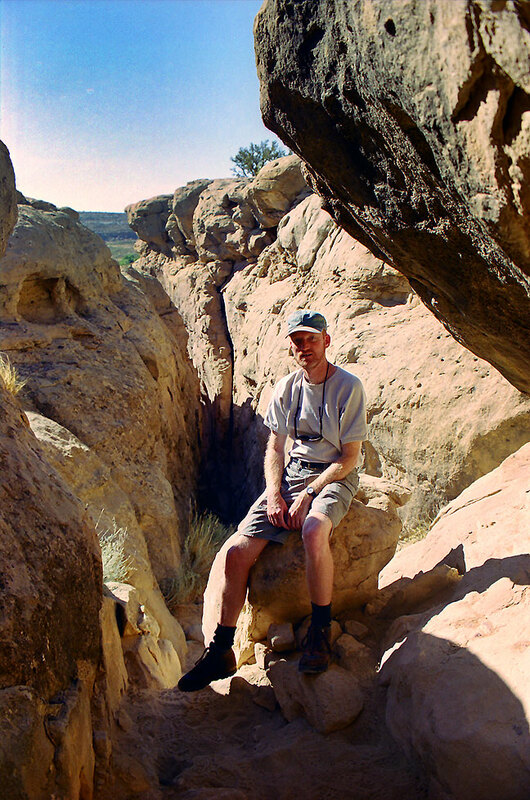 Your host pauses for a photo as he climbed the “crack” at the start of the Pueblo Alto Trail at Chaco Canyon. 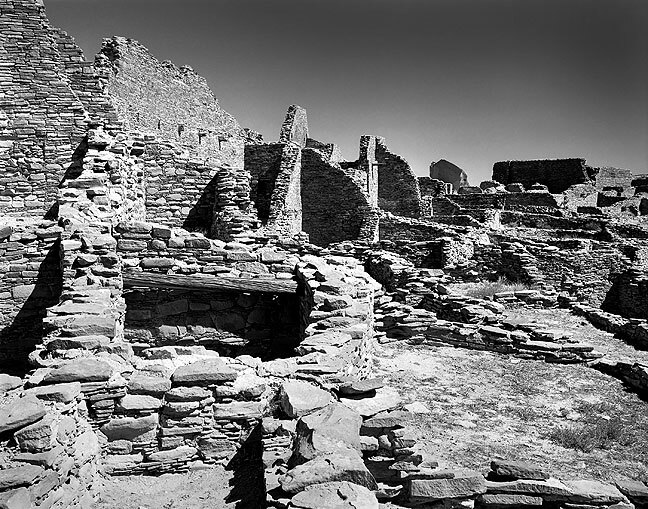 This view of Chaco’s Pueblo Bonito was made from the canyon rim on the Pueblo Alto Trail. 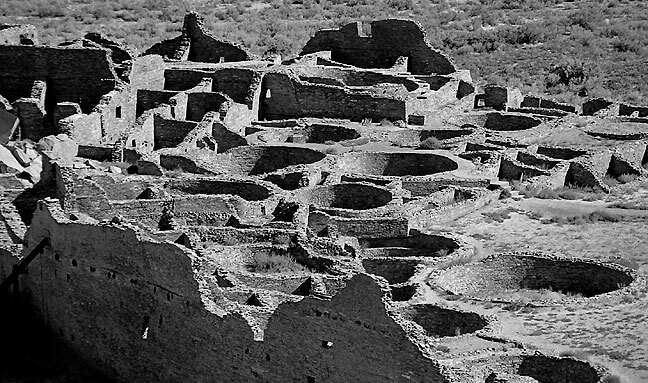 Classic view from the trail above Pueblo Bonito, Chaco Culture National Historic Park, New Mexico. 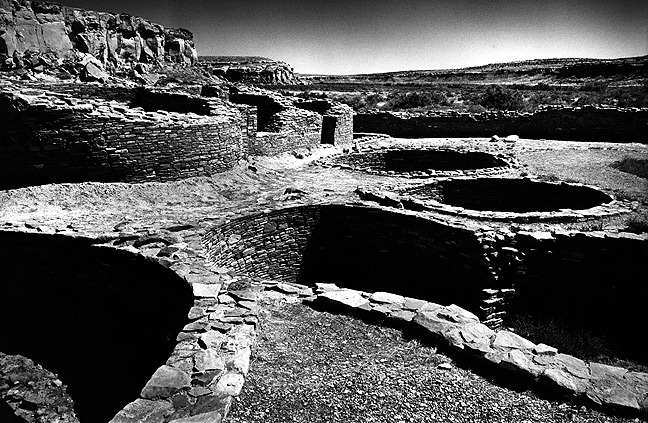 This view shows midday light on Chacoan masonry. Clear midday sun rains down on the Pueblo Bonita great house at Chaco. 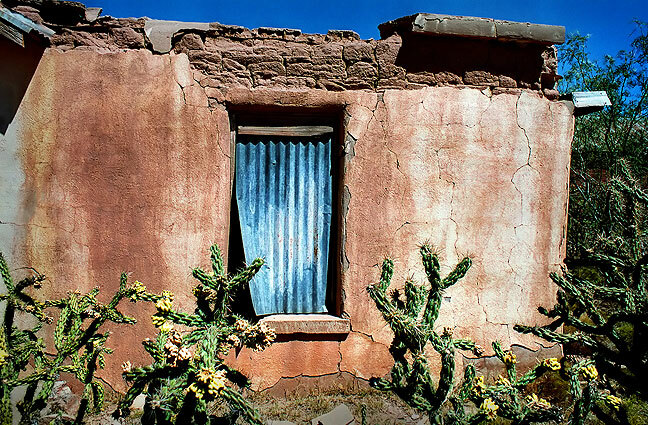 Midday sun shines on Pueblo Bonita great house at Chaco. 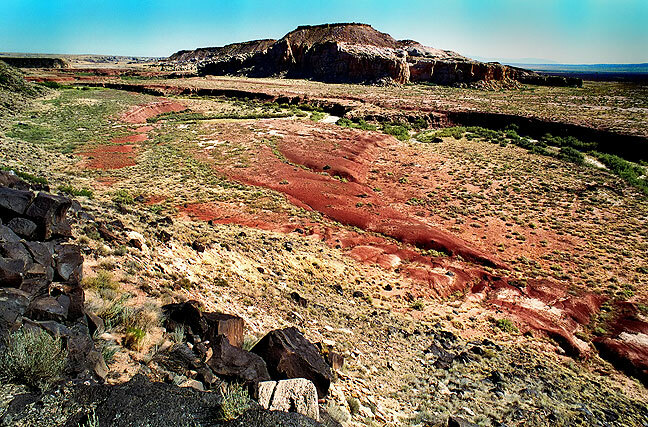 Fajada Butte is the most recognizable natural feature at Chaco Canyon. To its left is Chacra Mesa. Just at dark as I made my way south on U. S. 666, I made an attempt at a moonrise over Barber Peak, which was not successful. 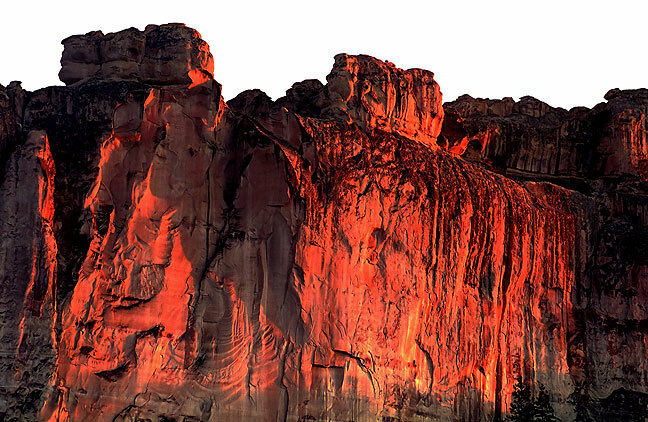 I made this image of Window Rock in morning light. 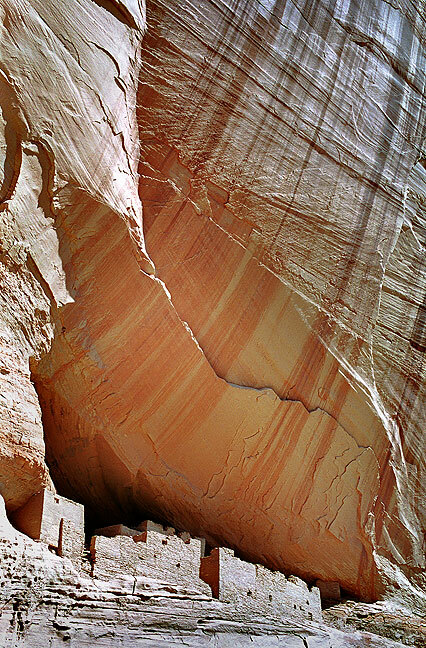 Window Rock, Arizona is the capital of the Navajo Nation. The town’s namesake is a large natural arch with and handsome promenade built on its approach. I shot it, but not as well as i imagine I could have. 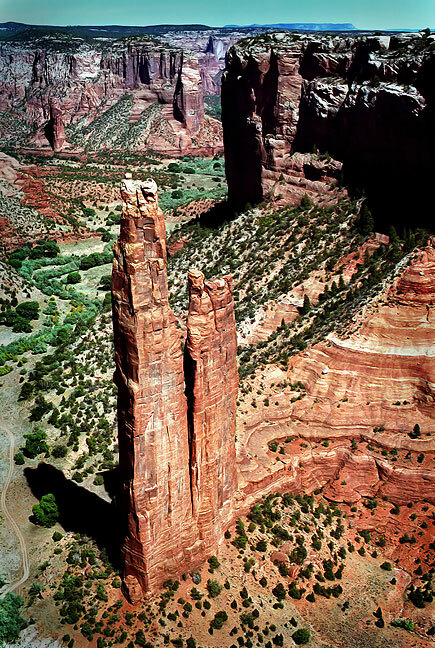 My last major stop was Canyon de Chelly National Monument. I shot briefly from the rim, then shed the heavier gear and hiked to the canyon floor to photograph the White House Ruin. 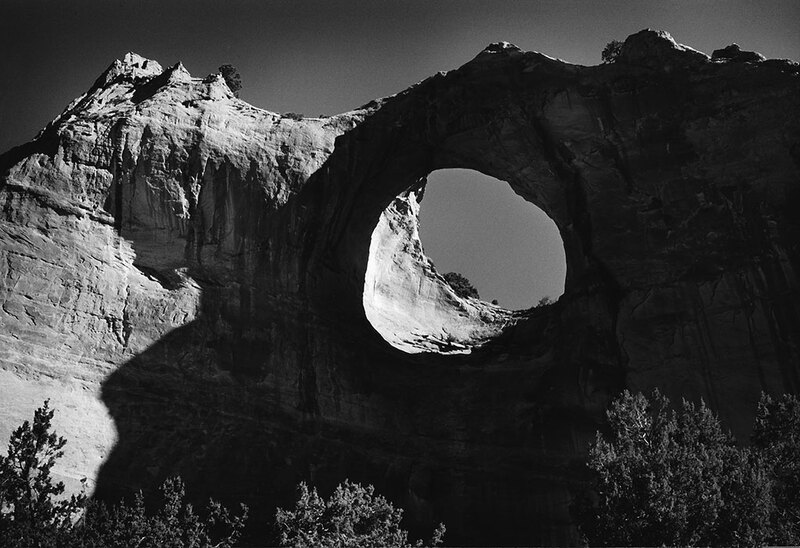 The site was exactly the same as when Ansel Adams had shot it in 1942. Even the light was similar. The hike was beautiful, and I shot well. 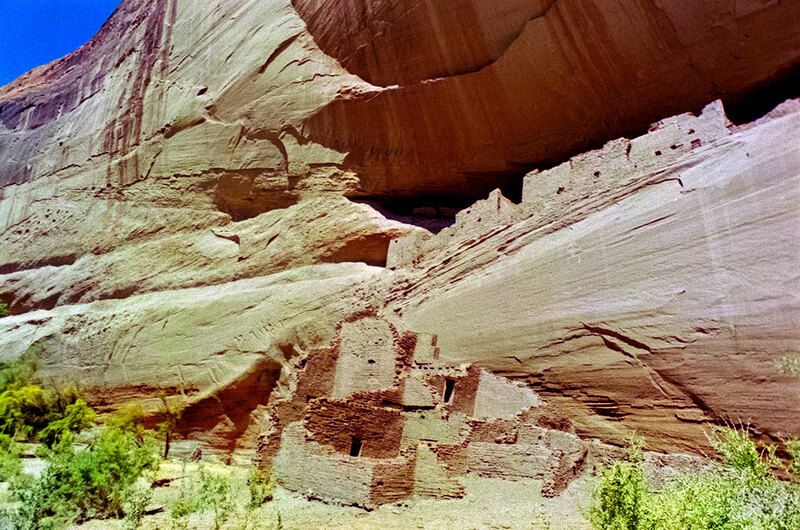 This is a wide view of White House Ruin at Canyon de Chelly National Monument, Arizona. Made from the right side of the White House Ruin view area, this image looks north. 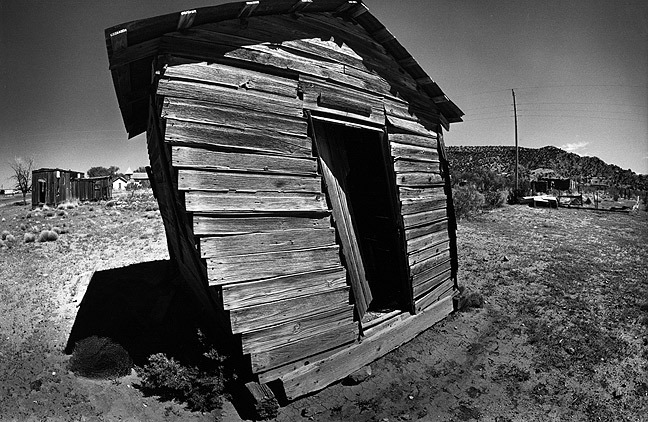 I ended up shooting a total, including infrared, color, B&W, and medium format, about 35 rolls of film. I felt I made more and better pictures than on the trip 14 months before. I drove home with another list of places to visit next time. 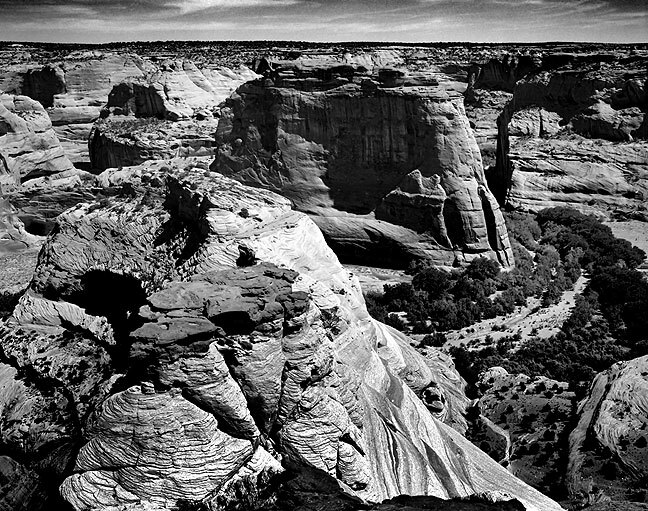 This image of Canyon de Chelly was made on medium format black-and-white film, with the work of the great Ansel Adams in mind.